Wednesday, September 12, 2018- Former Kakamega Senator, Dr. Bonny Khalwale, had an ugly exchange of words with controversial Gatundu South MP, Moses Kuria, on live TV on Tuesday night. The two politicians were guests on Citizen TV talking about various topics especially the VAT on fuel. However, Kuria showed up for the interview drunk forcing Khalwale to ask Citizen TV to put an alcoblow at the door. 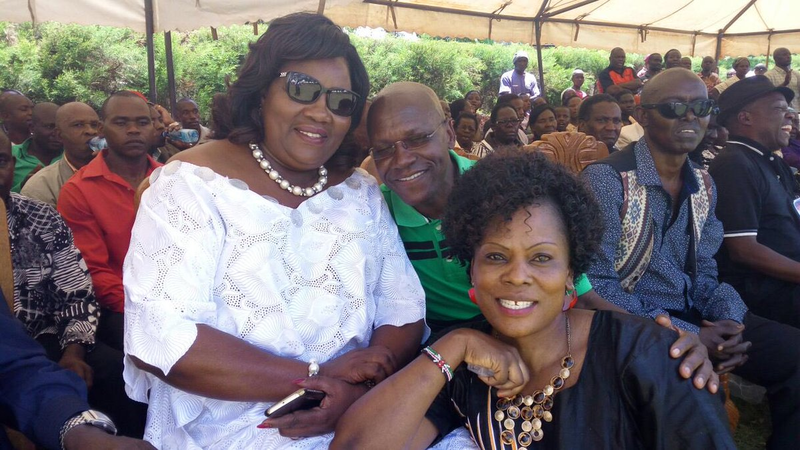 “I wish we had put an alcoblow at the door before we came in,” Khalwale took a jibe at Kuria. Kuria hit back confirming that he started drinking decades ago and accused Khalwale, who is a trained medical conductor of conducting abortions. “Before you were conducting abortions as a young doctor I was still drinking.” Kuria said. Khalwale has taken to social media to dismiss Kuria’s shocking allegations after one user asked him to come clean on the claims. “@KBonimteteziI didn't get what Moses Kuria meant about you performing abortions @citizentv,” a tweep pressed. “It is an old ruse meant to mischievously portray doctors as unethical & murderers,” Khalwale responded.